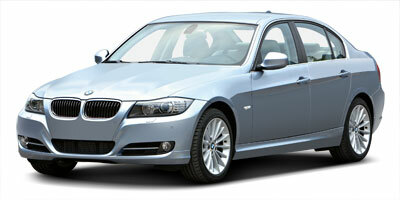 Fully deserving of its popularity, our 2011 BMW 3 Series 328i xDrive is everything you're looking for and more. Powered by a 3.0 Liter 6 Cylinder generating 230hp with mated to a smooth shifting 6 Speed Automatic transmission. This All Wheel Drive Sedan provides agility and balance without compromising comfort as it secures excellent fuel economy. The interior provides a show of luxury with supportive leather heated front seats, a huge sunroof, stellar sound system, a Navigation System, rich woodgrain trim, power windows, keyless entry, push-button start and so much more. Our 3 Series continues to be a reliable driver's car that will put a smile on your face for every day commuting or carving up a canyon road. Standard safety equipment on the 2011 BMW 3 Series includes a run-flat tire system, brake drying, anti-lock disc brakes, stability control, rain sensing wipers, front-seat side airbags and full-length side curtain airbags. There are two ways to drive this car: like a real luxury sedan or a true performance sedan. Either way, it's near perfect. Print this page and call us Now... We Know You Will Enjoy Your Test Drive Towards Ownership!